If you’re like many of the Marin County residents invested in the longevity of our planet you have most likely invested in an electric car. Though, just a few miles away, the city still looms as a polluting mass of buses and cars, despite the efforts of the environmentalists. With the recent news from the utility companies, that is all about to change. As your local electrician, we’re absolutely ecstatic about the coming shift in the tides and the push for more accessible EV charging stations for those with electric cars. The utility companies in California have recently proposed spending $768 million for EV charging infrastructure that is to be used for electric cars, buses and trucks in the city. This is the largest state effort for the utility company to adopt electric and sustainable energy for our infrastructure. By 2030, legislators -including Jerry Brown- expected to have 5 million electrical vehicles with no emissions on the road. At this point, we’re only at 369,300 registered electric vehicles. The idea of this proposal is to encourage sustainable public transportation and trucks. The previous efforts have been mainly focused on consumer available EV charging stations that were more specifically available for cars. Though California is one of the greenest states, transportation still accounts for an unruly amount of our greenhouse gas emissions, ringing in at around 40 percent of our overall emissions. The idea is that in combination with solar energy pushes, the majority of the energy will originate from green sources, and therefore, significantly lessen pollution and the effects of global warming in one sweeping motion. The utility companies have seen a new pressure put on them as more and more people, especially in Marin County and the larger San Francisco area have been installing solar power panels in order to harvest and store their own energy. Thus, the utility companies are motivated to ensure that their services still have relevance when everyone switches over to solar power. This effort turns out to be around 1570 charging sites that should be able to easily support 15,000 medium to heavy-duty vehicles. In an effort to make this more accessible to homeowners, San Diego Gas & Electric Co. is looking to offer rebates for 60,000 customers so that they can look into home EV charging station installation options. If you’re interested in getting on board with the rest of California and committing to an electric solution to our greenhouse gas emissions, give us a call. We proudly install EV charging stations and perform other electrical repair and service to make your home more efficient without sacrificing the everyday convenience you know and love. As your dedicated Marin electrician, we’re here for all of your electrical repair and installation needs. Interested in other upcoming energy news and facts about things like self-driving cars and electrical innovations? Follow our blog. Find out about the trends of EV charging stations sweeping the nation across businesses and homes looking for cheaper and more convenient energy solutions for their means of transportation. Divine Electric made our day. Our electrical issue at home was quickly and accurately diagnosed, and immediate repairs made things right again. Nathan was on time, friendly, and knowledgeable. He made everything easy to understand, and followed up to be sure all was well at the end of the day! We couldn’t be happier. 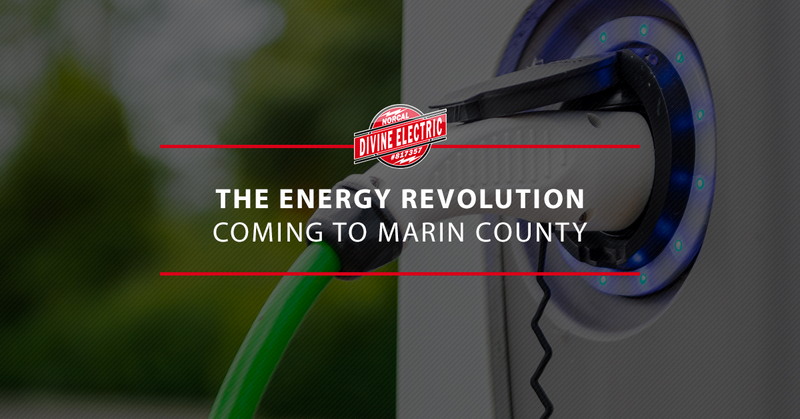 Founded by Darin Divine in 2003 who has been in the Bay Area residential electrical industry since 1996, we serve Marin County, select San Francisco areas, and surrounding communities. We provide a full range of services from simple ‘Service and Repair’ dispatches to ‘Contractor Projects’ for residential and light commercial contractors and architects. Divine Electric Norcal Racing is an established team of well-known riders and respected community leaders. It’s a cohesive mix of racers, weekly training friends, and business peoples.